If you’ve recently re-located to Dupont, Washington you might be wondering what there is to do in the quaint city. From historical museums to hiking trails, there are many ways for you to enjoy your new town with your family. 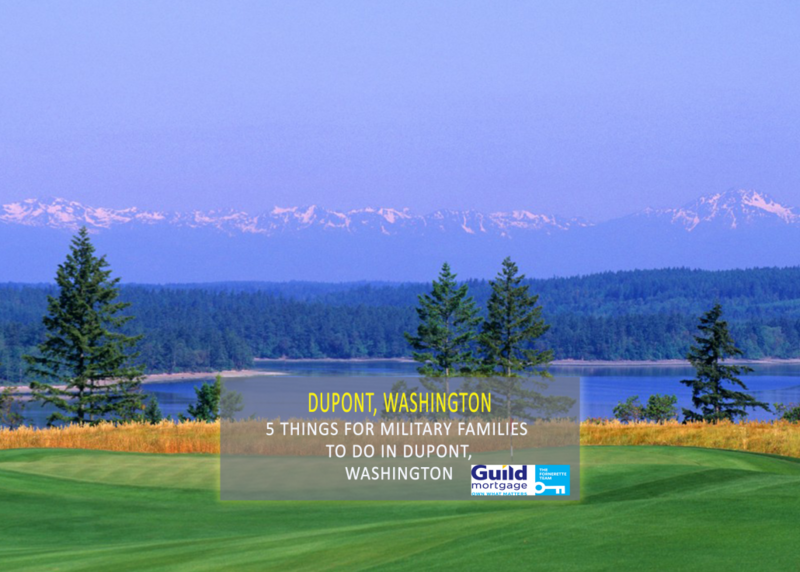 Here are 5 things for military families to do in Dupont, Washington. The Dupont Historical Museum is one of the highest rated things for military families to do in Dupont, Washington. The museum tells the story of the unique role that DuPont played in the development of Washington State. You and your family will see exhibits that include displays and artifacts from the four eras of DuPont history. And like many museums, the Dupont Historical museum features archival photographs, and tools to manufacture dynamite. Admission for the Dupont Historical Museum is free, and is open select times Wed-Sunday, and Monday-Tuesday by appointment only. This park truly has something for everyone – including your four-legged friends! It’s a great place for a 3 mile walk or run, has a playground with a covered picnic area, and offers a large fully gated dog park. And if you’re lucky you might even catch sight of the deer who wander through the park! A popular site in the summer, American Lake is one of the best things for military families to do in Dupont, Washington. There is ample space to wake board, water ski, lounge, and overall enjoy your day. There is also a playground for the kids to visit, and well as barbecues for those warm summer evenings. American Lake also offers boat rentals which is a fun way to spend a day with your family out at sea. Sequalitchew Creek Trail Head could very well become part of your morning routine. It is a nice little walk down to the ocean, with a well-maintained trial head. It’s known as a tranquil hike, with peaceful sounds of running water, and not usually very populated. The hike is also dog and stroller friendly. 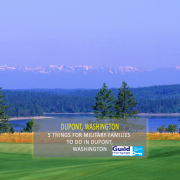 For those who like to spend their free time out on a golf course, you’re in luck as Eagles Pride Gold Course is right next to Dupont, Washington. It’s a well-maintained gold course, with the greens in pretty good shape year-round given the weather in Western Washington. And for those who are going along for the ride, the golf course restaurant offers excellent menu choices and a variety of Sam Adams brews. Eagles Pride Gold Course is located just off of I-5, and is therefore one of the most popular things for military families to do in DuPont, Washington.